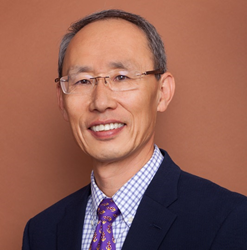 The Oncology Institute of Hope and Innovation welcomes Dr. Kim to their team of specialists. Quality care means caring for the whole person with physical, emotional and spiritual as well as financial solutions. Seong Kim, M.D. was born and raised in South Korea and came to the United States in 1981 after graduating medical school at the Yonsei University in Seoul, South Korea. Dr. Kim completed his residency in anatomical/clinical pathology at the Geisinger Medical Center in Danville, PA and residency in internal medicine at the St. Elizabeth Hospital in Youngstown, OH. Dr. Kim completed his hematology and oncology fellowship at the State University of New York in Brooklyn, NY. Dr. Kim is board-certified in Medical Oncology and Internal Medicine. After clinical training, Dr. Kim joined Smith Clinic, a multispecialty clinic, in Marion, Ohio where he practiced for 23 years. Seong Kim, M.D. grew up in a Christian family and keeps searching for spiritual growth. During his free time, he enjoys playing golf and traveling. Seong Kim, M.D. is fluent in Korean. From my previous practice experience, quality of life of my patients is most important. Quality care means caring for the whole person with physical, emotional and spiritual as well as financial solutions. In order to achieve this goal, it is essential to listen to patients and their family with empathy and patience. Cancer care is currently flooded with new developments and patients are confused with the vast amount of information; my role is assisting them to draw best treatment option and make full effort for the best possible outcome. I strive to improve my passion to fulfill this goal continuously.